WindowBlinds is a software utility that allows you to completely change the look and feel of Microsoft Windows. 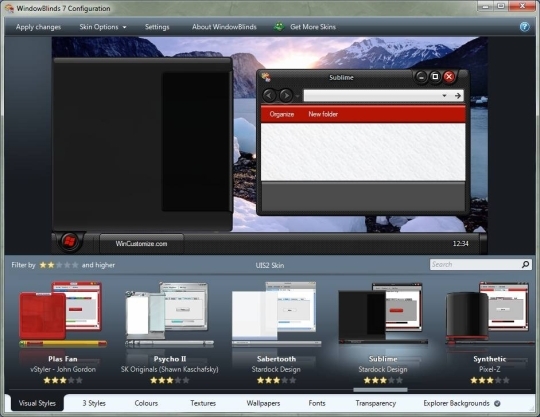 It works by applying new visual styles, also called skins, across the entire user interface of the operating system. 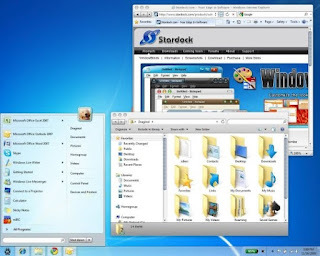 As a result, you gain complete control over the way Windows looks. WindowBlinds comes with a number of visual styles to get you started. From there you can modify them by changing the color, adding a texture, wallpaper, changing fonts, adjusting transparency, or blur. Create, edit and apply textures. Use UIS0 to apply textures to the Windows Aero visual style. Live previews of skins and transparencies. 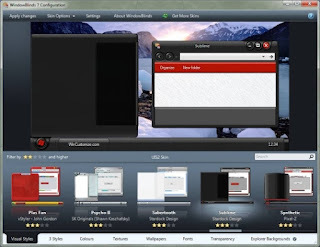 In addition, you can download thousands of free visual styles from the popular WinCustomize.com. With the addition of the separate SkinStudio, you can create your own skins for use with WindowBlinds.What's new in this version: Version 7.40 includes fix for IE sizing issue, Opera repaint issue on scrolling, blurred borders on large bordered skins, and for UltraMon secondary taskbar.